The journalists will have on-the-record conversations with U.S. Rep. Bobby Scott, (D-VA), the new chairman of the House education committee, Diane Auer Jones, the top higher education policymaker in the U.S. Department of Education, and David Cleary, the chief of staff to U.S. Sen. Lamar Alexander (R-TN), the chairman of the Senate Health, Education, Labor and Pensions Committee. Journalists will also hear from researchers, college leaders, data experts and students on topics such as “free” college, student loans, and campus activism. The full agenda and speaker list can be found here. The event is booked, but journalists interested in attending should fill out this form to get on the waitlist. A limited number of Supporting Community Members can also attend some of the Seminar’s sessions, for a small fee. 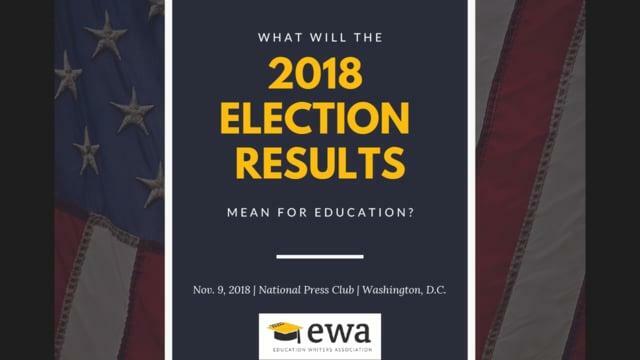 Information on joining the EWA can be found here.